TOTAL FLANKER...a rugby blog: If not now, when? First things first, I am sure that Eddie Jones knows a lot more about selecting an international rugby team than I do. And yet picking Maro Itoje to sit on the bench for the majority of tomorrow's game against the Aussies does make me wonder. If Maro Itoje genuinely needs a rest then he should be on a beach in the Bahamas. If Maro Itoje is fit enough to be in England's match day squad then he has to be in the starting XV. 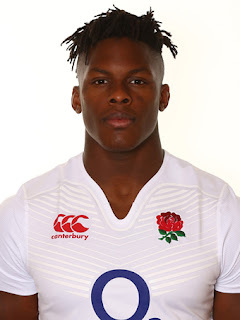 And if Maro Itoje is in the starting XV then he should be England captain. C'mon Eddie, you know it makes sense.